You are here: Home / Uncategorized / Massage in Healthcare? Massage Therapy wants to be Medicine – that’s part of the title of a past article in the Wall Street Journal article – Don’t call it pampering: Massage wants to be medicine. Massage Therapy is Medicine. Massage Therapy is Health Care and wants to be part of health care. Seventy-seven percent of individuals surveyed claim their primary reason for receiving a massage in the previous 12 months was medical (54 percent) or stress (23 percent) related. Fifty-four percent of adult Americans who had a massage between July 2013 and July 2014 received it for medical or health reasons such as pain management, soreness/stiffness/spasms, injury rehabilitation, or overall wellness, an increase from 2013 data. Ninety-two percent agree that massage can be effective in reducing pain. Twenty-three percent of massage consumers had a massage for relaxation/stress reduction between July 2013 and July 2014. Under 2706 of the ACA – it really should be part of medicine and specifically health insurance. I have been writing about that for a few years already. See 2706 It’s the Law. To me massage is the answer to all of those challenges! Improving patient experience – Check! Improving the health of populations – Check! 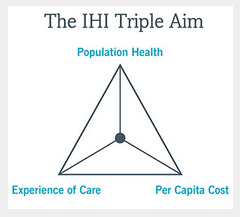 Reducing the per capita cost of health care – double check! What if massage were the number one prescribed service for pain, stress, muscle injuries and the many conditions that we all know that massage can help – headaches, carpal tunnel syndrome, fibromyalgia? What if we could put a dent in the use of prescription pain medications? What if we could help depressed patients feel better? No it won’t be easy. It may not be fun. To top it off, we are decades behind in making this happen in the US. Most of the history of the massage profession starts with the same history of the medical profession – Hippocrates, Galen, and the early leaders of medicine all talked about massage and it’s healing benefits. Why has the AMA become what it is while the massage profession just struggles along when it was started at the same time from what I understand anyways. It will be a struggle to get insurance companies to pay fairly and to accept massage therapists as providers and as an answer. Right now we are far from that. Insurance companies in WA have been continually decreasing their allowable fees and closing their provider networks making it difficult to bill insurance. They are also reducing the number of allowed sessions. Start finding out what is going on in each state as far as getting massage covered by health insurance. Start with your local AMTA chapter just to see where they are at with all of this and ask them to get involved. Find out if you are licensed as a health care provider in your state as it will require that you are officially recognized as a HCP. If you are a HCP, you can start contacting the Office of the Insurance commissioner in your state to find out what needs to be done to implement and enforce 2706 of the ACA. Show them the paper “Summary of Evidence”(PDF) that AMTA-WA had Diana Thompson and other researchers put together that shows how massage fits into the Essential Health Benefits. Show them the information that AMTA put together called “The Value and Efficacy of Massage Therapy in Integrated Health Care. If you are not licensed as a HCP, you will need to make that happen in your state. Right now the best place to start is with your local AMTA chapter to find out if they can or will work on this for you. (I am not totally sure what you will need to do to make that happen but it will probably mean new licensing and/or legislation to make you a HCP.) This might be helpful – Show your state board the model practice act created by the Federation of Massage State Boards. Start writing about this on your websites. Visit www.covermycare.org (from IHPC) and get more information on what your clients will need to be doing to get massage covered on their health insurance. Check out the Cover My Care Toolkit. Start working on getting all schools accredited. The reason why medical professionals don’t take us seriously is because our education is not up to par. The minimum age to become a MT is 18. COMTA (www.comta.org) is working on an accreditation for smaller schools so that they can afford it. We will need more massage therapists billing insurance so that they can get involved in the process and start getting a seat at the table with insurance companies to show them the value of massage. Start learning about the massage insurance billing process which includes SOAP charting which is necessary to show the insurance companies and medial professionals just what we do. We will need more massage jobs in the medical/clinical arena that provide a LIVING wage and benefits for massage therapists. Start supporting research and getting more research done. Right now we actually do not really have much of anything in the way of research that shows anything more than – ‘it looks promising’ according to the book Massage Therapy: Integrating Research and Practice by Christopher Moyer. Schools will also be needing to teach more evidence based massage. Right now in WA State, we have one insurance company that requires preauthorization for massage sessions and they base the number of sessions on the evidence we do have. We will need money and lots of it. We need to hire lobbyists in each state if there aren’t any and hire a national lobbyist – can you believe there isn’t one?. We need lawyers to help navigate the waters of healthcare, HIPAA and issues in being a HCP. We need people working on the CPT codes who will protect the MT in WA right to bill and that will help develop the language of the CPT codes so others in states that are farther behind WA will be able to bill too. See the CPT code fiasco created by AMTA. Join my closed Facebook group that is working to gather information on this and share what is happening in your area. We need to learn from each other and support each other in this process. We need to start now. No one else will do this for you. It has to be you. Start something NOW! What do you think we need to be doing? What is being done in your state? Impressive list of action steps to get massage excepted as part of healthcare. 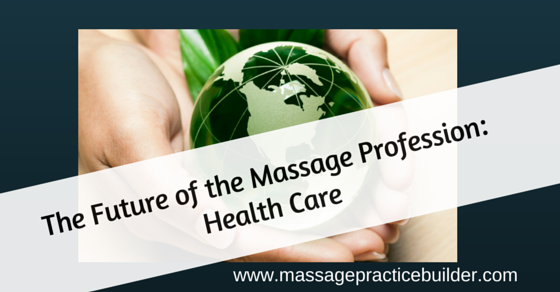 Each state where massage therapists are not yet recognized as healthcare providers has so many different hurdles to overcome. In California for example it’s the physical therapist and the chiropractors that continue to stop any of our effort to be licensed across the state because of course if we are licensed and we can bill insurance directly for major medical insurance which will take some of the pieces of their pie. I just became president of the Golden Gate unit for the AMTA-CA again. We’ve got many practitioners who don’t want to be part of the healthcare system and enjoy practicing as they are right now. Part of what we need to do is to see where the consensus is. Personally, as in Active Myofascial Therapist I am currently billing insurance and recognized among my colleagues and referring medical partners as a member of the healthcare team. Keep up the good work Julie.